Posted in: Everyday Travel, Featured, Funny Stories, Hometown, Italy, U.S.
Ahhh Italy, the land of culture, art, history, religion and Amore. 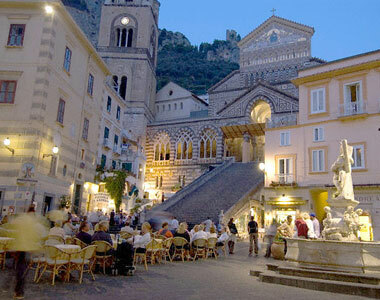 Just the thought of going to Italy gets me excited. It is by far my favorite destination. I love the people I have encountered over the years, I love the food and the simplicity of a clean Mediterranean meal on the coast. I love that wherever you turn your head is yet another beautiful view. 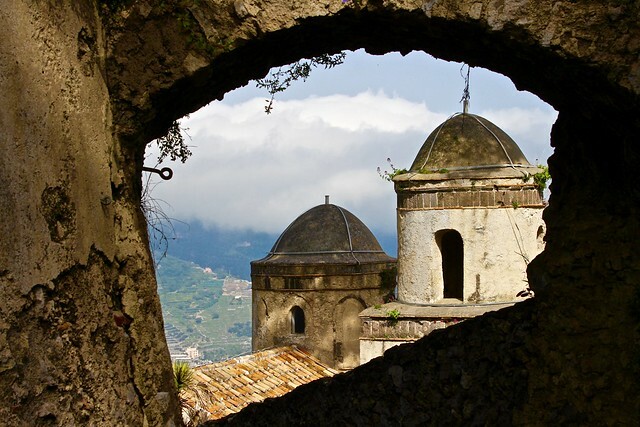 I know, this is beginning to sound like a love letter to Italy. It is not. Italy is all the things I have said above, this is true. Sadly the challenge is to get there and all the crap you must go through before you can have that idealized and Romantic trip. Do you believe in the laws of nature? Do you believe in the the Vacation Gods? Vacation Gods? What the heck is that or those or them, what are you talking about Scott? I am talking about no matter how hard you work to make a trip like 3 weeks in Italy a possibility, no matter how well you plan your trip something is going to happen that may cause you to cancel it or at least give consideration to canceling it all together. And it’s usually at the last minute you must decide. I’ve said it before, I do like an adventure. It’s just, I prefer one that doesn’t stress me out 10 hours before my departure. This time The Vacation Gods weren’t so kind to me. The plan was to leave for the airport at 4 am. The vacation Gods tried to screw that up for us by causing our water heater to blow up and flood the garage and parts of our house at 12 noon the day before. Now if you have never had your house or even part of your house flooded, you may not know what has to happen in order to fix it. The first thing that must be done is to Panic like crazy, check. Then is to turn the water off, which in itself was a bit of a challenge as I couldn’t find where to do so. Eventually I got it. The second thing to do is to get really pissed off at the water heater, check. The third thing is to say to yourself, self you just got screwed and you can forget about your Vacation. I skipped the third thing and did what anyone would do. I starting calling anyone that could help me and whine that I was about to leave the country for three weeks and could you please come and fix this problem I have because I am whining about it! Lucky for me I found someone who was willing to listen to my whine and actually agree to help, Drylux Restoration came to my rescue. 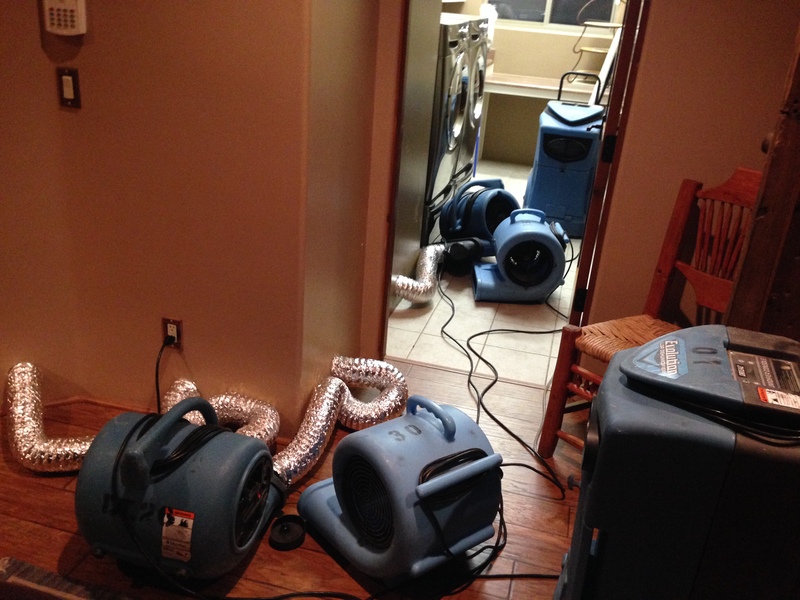 When a home gets flooded it can big a major problem, and very costly as well. What happens is the water permeates your walls and floors and if not taken care of immediately and properly you are likely to have a mold problem in the future. Restoration and rebuilding can cost thousands if not tens of thousands of dollars. This little problem of ours is going to cost somewhere in the $5000 range, that’s a lot, but not nearly as bad as it could have been. This type of restoration and repair will take more than a week to do, that means no hot water for the time being and a very messy home. 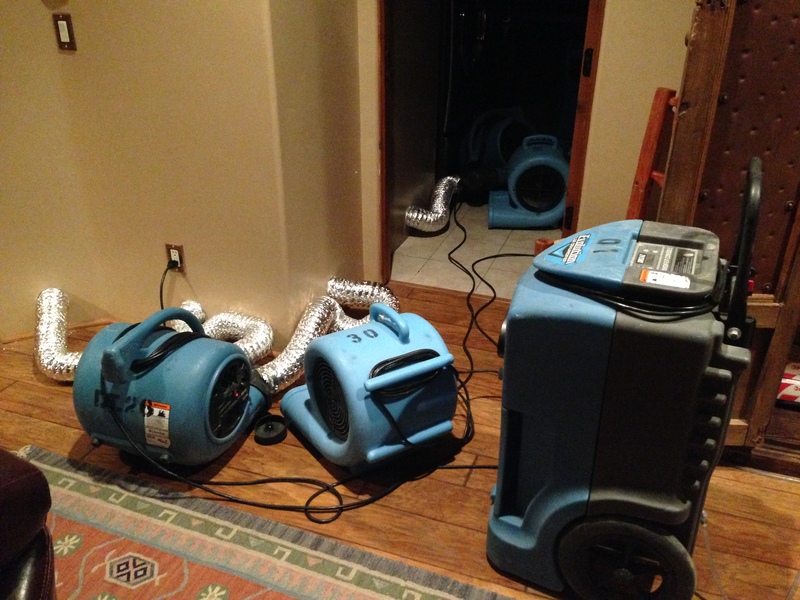 The restoration and repairs require drilling 4″ holes in the dry wall and attached blowers, fans and humidifiers to each hole. Those tools then have to run for about 4 days straight to dry out the walls, studs, flooring etc. If after that time there is no more moisture in the studs and such they can repair the walls. Next up is to tear out and rebuild the area where the water heater resides, add another day or two. 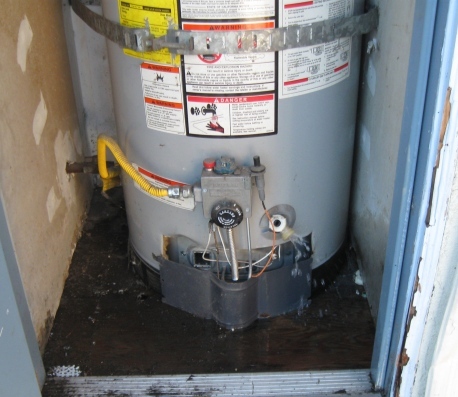 Then there is the replacement of the water heater, in our case a commercial grade and size which will run about $3000. I have to give credit to all the players involved from Old Republic Home Warranty, American Family Insurance, Drylux Restoration, Loyalty Home Services and finally the young lady who has volunteered to act as our on site coordinator and see this all through, Cher Adams for stepping up to the challenge and jumping into getting this process started and allowing us to go on vacation. Without all these people and companies working together with us we may have had to cancel. This isn’t our first run in with The Vacation Gods, but this time we won! So we made our 4 a.m. Departure, although a nice cold shower awaited us in the morning, it wasn’t my first experience with water heaters and cold showers. We are now on our way to beautiful Italy. What have The Vacation Gods kept you from? ← Belgium’s Street Food is AWESOME!